On the one hand, I’m glad it’s… a trend? A growing movement? Finally, I feel less like a freak of nature for stopping my day to meditate, or for wanting healthy food, or for busting out my mat in the grass at some rest stop in Pennsylvania to do some yoga and stretching while on a road trip. (True story. I think the truckers still thought I was a freak of nature.) I am so thankful that others are realizing that quality of life is important, that we should question the ways our culture and lifestyle are often counter to that quality of life, that what we put in our bodies matters, that we have to move instead of stare at screens all day. However, I’m worried at what we’re turning “wellness” into. As we are often wont to do, I fear we are dumbing down something good into its lowest common denominator. To wit: the other day, I saw a wellness magazine post on Instagram a detoxifying vodka cocktail recipe, with some superfresh, trendy-sounding ingredients. Guys, I am all for moderation — and sometimes that may mean you just want to have a bit of vodka — but I’m not sure that counts as detoxifying. It seems if we all stand in tree pose, wear “Namaste All Day” tees, buy some crystals, and sage our homes, we can claim a Wellness Gold Sticker and feel like we have really changed our lives in some way. 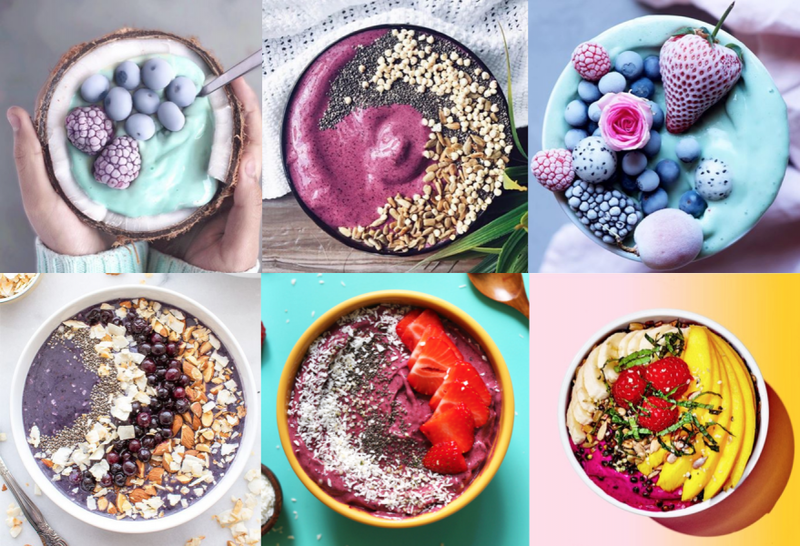 I’m just going to say it: if I read another blog post that reads something like, “5 Smoothie Bowls You Need to Make Right Now,” or “7 Ways to Destress By Tonight,” or “8 Rules to Live By to Get Your Life On Track,” I may just puke in that smoothie bowl. I have nothing against smoothie bowls. They are yummy, and hypnotically addicting to look at on Instagram (although never have I artfully arranged my chia seeds in a perfect arc, or turned my morning smoothie seaglass green). Nor am I against de-stressing, or self-development. But it does seem like we have reached a place of cheapening something good into the lowest-cal popcorn snack that we can feel we digested satisfactorily within our 90-second attention spans. I have lost my tolerance for the endless list titles on the blogs that will fix my problems in 7 easy steps. I’m not much for a smorgasbord sampling of anything remotely fitting the “wellness,” “green,” or “healthy” trend. No more, please. Dig deeper, folks. The interesting thing is, I have been asking my wellness- and spiritually-minded friends what they read on the internet. And do you know what’s funny? I lot of them don’t read the “wellness” blogs or magazines out there. These are 20s, 30s, 40-something, super smart, down-to-earth women. They have serious yoga or meditation practices, and they are committed to healthy lifestyles and personal growth. But I’m wondering if the more pop-culture wellness that’s being served up really isn’t serving them. One of my goals for this blog is to create a space that goes a bit deeper on the topics of wellness, spirituality, and personal growth. I want to help change the conversation around how to live well — but do it with brains, substance, style, and very little woowoo or crunchy granola in sight. I’m really interested in what’s out there in the “wellness” sphere that you read — or don’t. What sites (and other media) are motivating you to keep coming back, wellness-wise or other? What do you love about them? What have you encountered that has been the most valuable for you in terms of your path of growth? Join the conversation here.